Nowadays there are so many different sources of information on Witchcraft and How to Cast a Spell. Sometimes it may be difficult to sort out what is useful and what can be seen as inaccurate or misguiding. For this reason, below you will find some simple, effective, and original methods on How to Cast a Spell; tailored to the practioner’s desires. Start off by identifying what exactly it is you want to manifest or banish. Typically a New Moon the time is for new beginnings and Full Moons are for banishing. Three days before the New Moon is known as Dark of the Moon and is advised not to perform and Magic during this time; as the subtle energy fields of the Earth are somewhat chaotic and could distort the outcome. The idea here is to be creative. When in doubt keep it simple. But traditionally spells are recited in a rhyming fashion to create a certain dynamic within the Ritual. There are no real rules on how long it should be. It’s up to the designer of the spell. But try not to make it too long as it can begin to water down the Ritual. Set up your work space with your Wiccan Altar in the Center. Your candle of choice should be on the altar along with your Athame and your Cauldron. Now take the piece of paper with you into your working space. Enter into a silent meditation following only your breath. 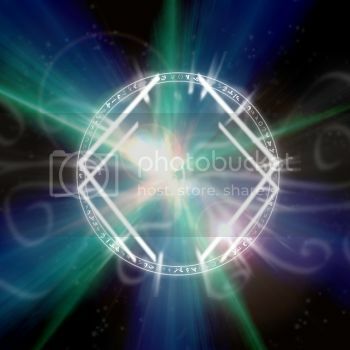 When you are relaxed, take your Athame and draw a circle of protective white light around, with your imagination, starting in the East and going Clockwise. Now that you are surrounded with this white light, begin by lighting the candle that should be placed in the center of your work space. See with your Mind’s Eye, the color from the candle fill up your Circle you created with your Athame. In this case, with a love ritual, you would visualize yourself in a circle of red light. When you see this strongly, proceed to recite the spell you wrote on the piece of paper. Repeat it Three Times. It is essential to repeat it three times as three is a power number. After repeating the spell three times take the piece of paper up to the candle and Light it on Fire with the Flame from the Wick. When the paper catches Fire, drop it quickly into the cauldron and watch it burn to ashes. While you watch it burn, see with your minds eye, your spell coming true. What would it look like in real life. When the paper has burnt to ashes, see your circle of red light rise up to the Universe with the smoke. Say “As it is desired, so mote it be!” You may meditate more with the candle, or rise up and end the Ritual at this point. To end the Spell, use your athame to retrace the white circle of Light, only this time counter-clockwise…as to “Close” the circle. See any leftover energies dispersing as you do this. So there are some simple steps on How to Cast a Spell.